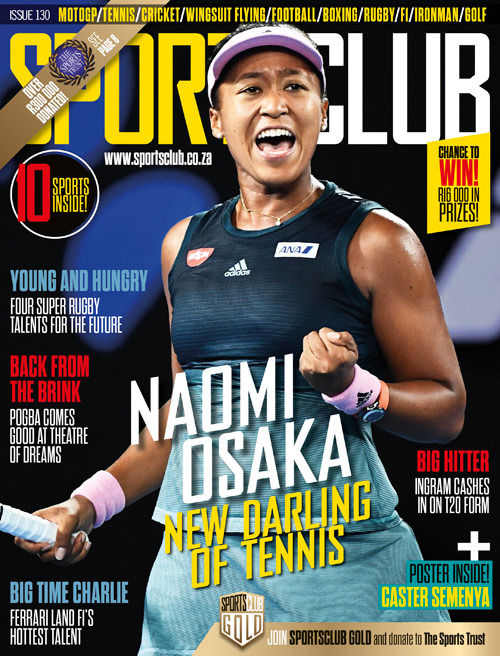 The Durban rain played the dominant hand in Match 22 of the Mzansi Super League as the Durban Heat were all but knocked out of the tournament. Durban Heat were boosted by the arrival of their key international marque player, Rashid Khan of Afghanistan. The 20-year-old talisman of Afghanistan cricket has been playing in the T10 League in Sharjah, where his team, the Maratha Arabians, lost in the 3rd place play-off to Morne Morkel’s Bengal Tigers, with Khan being carted for 42 runs off his two overs. The Nelson Mandela Bay Giants chose to take first turn at bat in the evening’s match and England’s five-star rated, Durban-born Jason Roy (also fresh from the Sharjah T10 tournament) added 42 for the first wicket with JJ Smuts. Roy was trapped leg-before by Marchant de Lange for 26 off 16 balls, including two fours and two sixes (S/R 162.50), after which Smuts and Rudi Second added 72 for the second wicket. 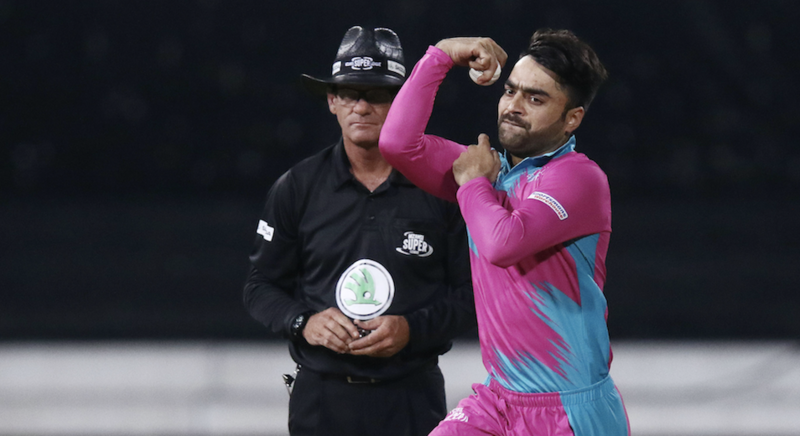 Rashid Khan claimed his first MSL wicket when he had Second caught off a skier by Sarel Erwee for 26 off 18 balls (2×4, 1×6, S/R 144.44), but the players were forced from the field one over later by persistent rain. Smuts was on 62 off 45 balls (8×4, 1×6, S/R 137.77) with the Giants 121-2 off 13.3 overs. Rashid Khan was the best bowler on the night, his three overs costing just 19 runs (econ 6.33) and yielding a wicket. The Heat could mathematically still make it through to the third-place playoff, but they would MacGyver on their team with his full bag of tricks and the luck of the Irish on their side, but if I’ve learned one thing in cricket, it’s to never say ‘never’.